The team of Stylists at Salon Lucere are career professionals who believe that our signature Full Service Experience, a carefully designed business model, ensures consistency and satisfaction in every aspect of the guest experience. Salon Lucere is a Network Salon with Bumble and bumble, NYC, meaning that we are the first in the area to offer the newest products and always have a plentiful supply of the complete hair care line. Our Stylists regularly attend Bumble and bumble University the House of Bumble in the Meatpacking District, NYC to study design and business. Anyone on our team can recommend something that will change the way you feel about styling your hair - stop by any time to play, we have the complete product line available for your testing pleasure. Take it to the next level with a personalized styling lesson where you learn a fresh, new way of using your products and tools . 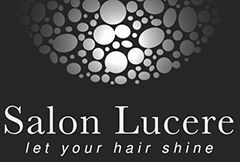 Experience the Salon Lucere difference and let your hair shine! When you are a member of the Salon Lucere Team, you can count on consistent education, professional encouragement, leadership opportunities, and financial growth. Are you ready to invest your passion in an exciting and fulfilling career? Among us are educators, award winners, published artists, & Bridal experts...we've earned the bragging rights of being the preferred salon for the most exclusive wedding venues in the Hudson Valley!